The Fuji XPro2 Graphite Edition is one of the nicest looking cameras to be released in recent years. But can street photographers embrace a camera that’s anything but black? We go hands-on with the dark grey version of Fuji’s flagship rangefinder style camera and put it to the test. Hit the jump for the video review! When Fuji announced the XPro2 Graphite Edition (and the X-T2 silver graphite edition) I was eager to get my hands on both new cameras. Well, let’s be clear. These are the EXACT same cameras as the plain old black versions. Only fancied up with a spiffy new paint job! The XPro2 Graphite Edition is stunning in real life. It’s a rich dark grey (think Apple’s Space Grey – only a couple shades darker…) that shimmers and changes subtly as light hits the finish at different angles. My concern was that this would be too glitzy for a street camera but this new camera is just beautiful. I would have no problem shooting with it on the street and would enjoy looking down and seeing every step along the way. Fuji XPro2 Graphite Edition at Adormma. 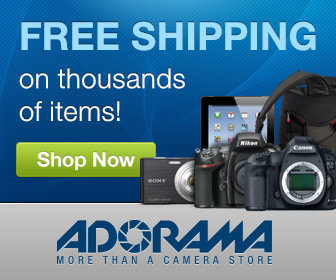 Fujifilm – Where To Buy Digital Cameras. Please support StreetShootr and use one of the links on this page if you decide to purchase the Fuji XT2 street photography camera. I will receive a small commission that helps keep this site alive and growing. Thanks for your support! Fuji has done an amazing job on the XPro2 Graphite Edition. The finish has depth and it seems to shimmer and shine depending on the angle of the light hitting the camera. But it’s still subdued and never garish. Really nice piece of kit! But again, this is the exact same camera as the plain old black XPro2. If you already own an XPro2 then the only reason to upgrade is if you love the way it looks. If you’re in the market for an XPro2 then you have your choice of colors and I have a feeling quite a few people will go with the graphite version. What’s your take on the Fuji XPro2 Graphite Edition? A beautifual version of an excellent street photography camera? Or are you a black camera only kind of shooter? Post your ideas in the comments below and keep the conversation going!